Well, it’s interview time again at Gaming Reinvented! And in keeping with our recent trend of interviewing YouTubers, this one is with another YouTube creator who’s growing in popularity. Namely, DJ Slope of Slopes Game Room, whose videos about video game history and Disney tie ins have been getting more and more attention to the point they’ve been featured on Nintendo Life! And with his channel growing in popularity (from 2,000 to 16,000 subscribers), that’s certainly a massive improvement since he was featured on our underrated YouTubers list! So let’s find out about a bit more about him and his work, in our exclusive interview with Slopes Game Room! 1. As per usual, a quick personal question to start. Who are you as a person? What’s your background? 2. And how did you get into video games? 3. 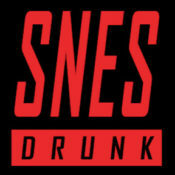 Were there any games you liked then that you think don’t hold up too well today? Ahhhhh plenty, almost all the Amstrad CPC games. Back then I was just excited to get a game no matter what it was like to play. There are some hidden gems for the system but there was a time when I thought games like Bridge It (which is possibly the 1st game I ever played) was a real solid game. But hey, you also have stuff like Night Breed, Basil the Great Mouse Detective and Bridge It! 4. Or for that matter, any games you started enjoying more once you replayed them as an adult? 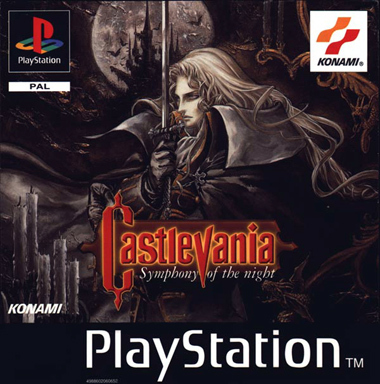 I remember not enjoying Castlevania Symphony of the Night… WHAT WAS I THINKING! 5. What games are you playing at the moment? I hardly play games as much as i would like now, most the time i am editing and other than playing the games I review, right now, i am playing Stardew Valley and I’m looking forward to playing through GTA5 again on PS4. 6. Onto your YouTube channel now. What inspired you to start a retro gaming YouTube channel? 7. What about the name? Where did DJ Slope and Slopes Game Room come from anyway? Well I’m a DJ so that’s that part covered but the slope part came from the movie Shallow Hal. 8. Are you a video game collector as well as a video creator? If so, what finds are you most proud of? 9. But let’s talk about the actual videos now. What inspired you to start your series about Disney movies and video games? I am a huuuuuuuuge Disney fan, seriously big in fact its my only full collection (all on blu ray unless not available). 10. How about the untold history videos? Its what gets me most excited making videos like that because 9/10 they are stories you have never heard of. I just keep going until I have enough information for 1 good video. Sometimes it’s just 1 blog post but most the time I open u p tabs for every game try and find anything about development then try and find interviews with the main guys who worked on it. And finally I check Retro Gamer Magazine to see if i can find any extra bits from that. 12. And what about the fact videos? How do you choose what games or systems to create videos on? I don’t know lol I just do whatever comes to mind. Sometimes i may find out aa really cool fact and then think AWESOME! Lets go find 99 more! 13. Were there any games you wanted to make a video about, but dropped? Like say, because there wasn’t enough for an interesting video? Or because you simply had a better idea later on? Loads of times. I have probably 10 unfinished scripts. However, from time to time I find a really juicy article or interview that fills in the gaps, which is exactly what happened to Metal Slug. 14. On the other end of the spectrum, which of your videos are you most proud of and why? 15. You also seem to have done a few collabs with other popular YouTubers (like Guru Larry and Kim Justice). How do you choose who to work with? I have crazy amounts of people backed up that I plan to someday work with but I only like doing so if it fits within the video. 16. How about favourite YouTube channels in general? Who else’s videos do you like watching? 17. A few general channel questions now. How did you monetise your channel? Did you join a network or decide to go it alone here? 18. Similarly, I’ve noticed you’re also selling merchandise via Spreadshirt. How is that working out at the moment? Does it make as much money as YouTube monetisation or Patreon? I have never sold a single t-shirt lol so therefore I make 100% more on YT and Patreon currently. 19. And what’s the deal with Extra Slope? Just some extra videos about miscellaneous stuff? 20. Either way, did you expect your channel to get so popular? Or for gaming sites that Nintendo Life to start featuring your videos? Hahaha never, although I will say I actually contacted them originally! It’s all part of learning to promote your own channel. You cannot expect to just wait for people to find you, that would be very lucky. 21. Finally, what advice would you give any aspiring YouTubers wanting to start their own gaming channel on the site? GO FOR IT! Don’t be worried that there are soooooooo many other gaming channels out there, but instead see them as people that come to YouTube and therefore could potentially find YOUR content! And that’s an inspiring message everyone can learn from. Try your hardest, promote your work properly and you’ll go far. What a perfect note to end the interview on! So what did you think of it? Did our interview teach you anything interesting about Daniel Ibbertson, Slopes Game Room or the videos found on the channel? 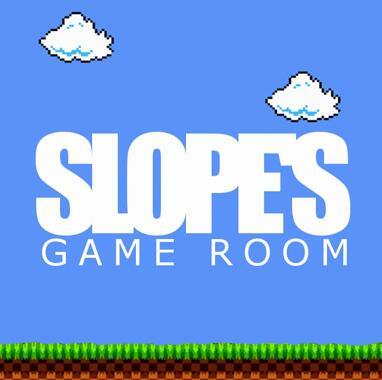 If so, post your thoughts on Gaming Reinvented or social media, and make sure to subscribe to Slopes Game Room today!